A new Presidential Suite has been added to Rondon Ridge and it has been named the Villa Wingti after a former PNG Prime Minister who was born in the Mount Hagen area. The Presidential suite is a two storied unit with two bedrooms and two bathrooms up-stairs, and a kitchen, bar, lounge area and fireplace downstairs. 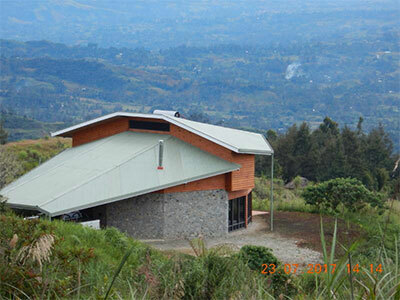 Rondon Ridge is the ideal place to stay near to Mt Hagen, the capital of the Central Highlands Province, commanding spectacular views across the Wahgi Valley. Home to 10 species of Birds of Paradise and many communities of PNG’s colourful highland tribes, there are numerous walking trails and diverse cultural activities to enjoy in the surrounding area. Contact Symbiosis Custom Travel now too start planning your Papua New Guinea adventure. 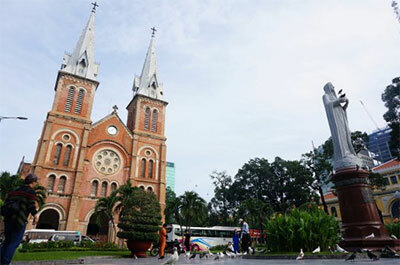 Saigon Notre Dame Cathedral will carry out a massive two-year renovation project from 2017 – 2019 with the approval of the Ho Chi Minh’s municipal government. This is the first major refurbishment for the 137-year-old landmark, one of Saigon’s most famous tourist attractions. The restoration work will be conducted carefully to “keep the original beauty” of the cathedral and split into three phases: the roof, the interior and finally the two bell towers. The walls of the cathedral, which have been vandalized, will also be repainted. During that time, the cathedral will only open for church services. 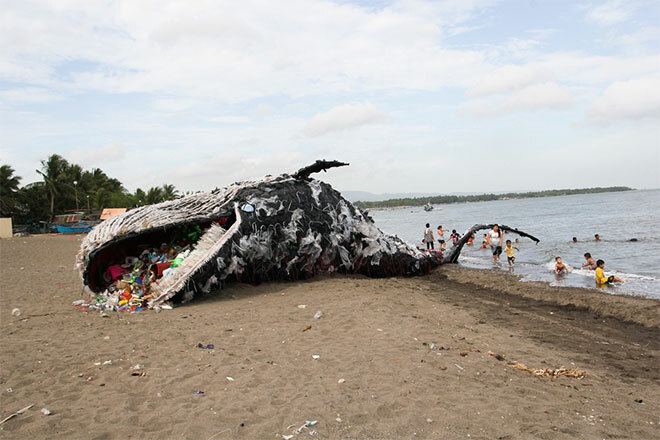 A massive whale is unveiled on the shores of Sea Side Beach Resort in Naic, Cavite, Luzon, Philippines. 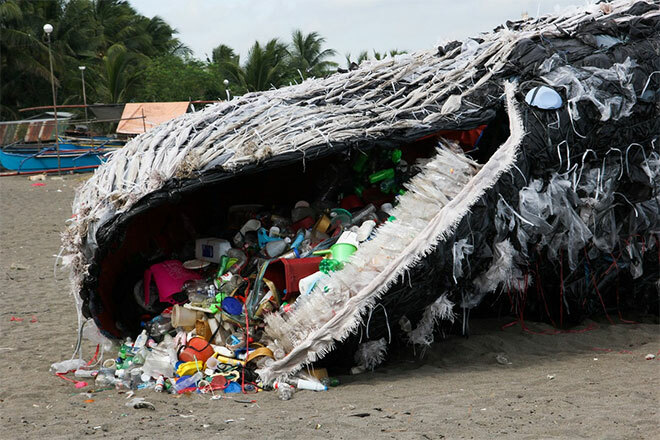 The 15m x 3m blue whale, which looked to be in the late stages of decomposition, captured the attention of nearby communities and beachgoers. Further info and to reserve your place, please contact Symbiosis Custom Travel. Contact Symbiosis Custom Travel now to book. This month only. 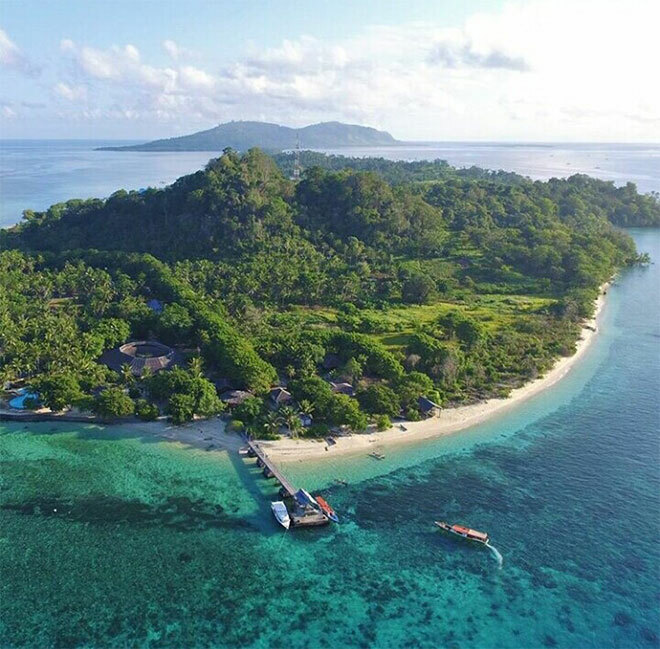 Siladen Resort is now offering boat transfers between their resorts in Bangka and Lembeh, diving along the way. This means that changing resort doesn’t mean losing a day of what you love to do most on vacation! 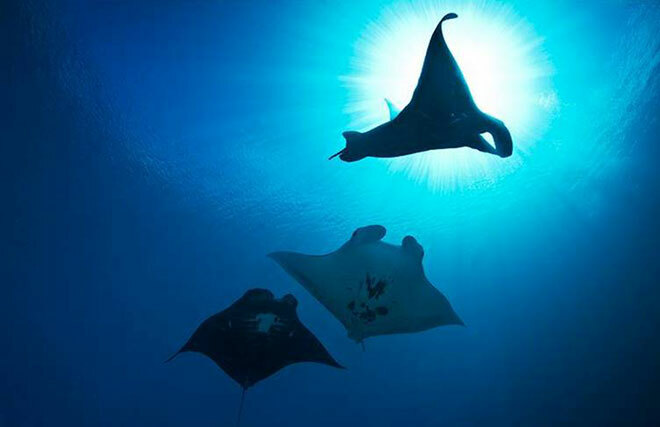 Contact Symbiosis Custom Travel for more info and to book your next dive trip. ‘The Chindwin is the loveliest of rivers…’ so wrote my late friend Alister McCrae of his 1930s trip up the great tributary as a young assistant of the Irrawaddy Flotilla*. And so it remains. I have been up a few rivers in my time and the Chindwin without a doubt remains the loveliest of them all. The Laos Mekong, with its gorges and rocks the size of apartment blocks is on a grander, almost intimidating, scale. The Irrawaddy is a magnificent beast as it expands and contracts through a series of vast shimmering water filled plain and tight defiles. Nothing could beat the Brahmaputra for bird and wildlife and nothing could beat the great Mekong Delta for human life. I returned this year to the Chindwin to find it little changed in a world of great change. Timeless, soulful, the river meanders through range upon range of forested hills, through rocky narrows and great open spaces. You are up against towering bluffs to one side and shimmering seas of elephant grass on the other. Our course is punctuated by pristine villages that have not visibly changed in a millennia. On the Chindwin, you will find the real Burma: a quietly prosperous riverine economy, self-sufficient and at one with its self. I first explored the Chindwin in 1986 when I travelled up river on a small motorboat. I was twenty-five then and spent the better part of a week sleeping on sand banks as the boatmen tried to coax our overladen vessel off these sand banks. This was in April and the river was so shallow you could walk across. I fell in love with the river and marvelled at the art treasures that awaited in long forgotten wood carved monasteries, one of which at Mingkin I believe to be the oldest in Burma. The best places to stay, when not on the sand banks, were in the village monasteries. At Kan I formed a friendship with the spiritual, yet at the same time highly capable sayadaw (abbott), that lasts to this day. The Kan Sayadaw ran the village as a sort of benign theocracy and it was the tidiest, cleanest and most quietly prosperous village in Burma. His aura of authority was such that he was able to keep out the hordes of rapacious officials lying in wait in the nearby township of Mingkin. The Chindwin is the Irrawaddy’s greatest tributary flowing down 700 miles from the Patkai Hills in North-East India, said to the be the wettest place in the world, which accounts for a monsoon rise of water levels of 100ft and sometimes the river can rise thirty feet in a night. In the low water season from mid-October onwards, the water level drops to three feet or less and is navigable only by vessels with the shallowest of drafts. The river is navigable from its confluence with the Irrawaddy as far as Homalin which is 400 miles. I did not return till the late 90s on our first Pandaw and there was virtually no change from when I had been up there fifteen years before. Roads were few and cars fewer. The Chinese ‘colonisation’ of Burma was just beginning and had yet to reach these remote parts. It was a joyful reunion with the Kan Sayadaw, witnessed by bemused guests on board. I have been lucky enough to do the trip a couple more times in the intervening years and it just seems to get lovelier and lovelier. This year I took my family on our Kalay Pandaw, the five cabin so called ‘Pandaw Owner’s Yacht'; not that we get to go in it very much as it is usually fully booked. The Kalay followed the nine cabin Zawgyi. In December the weather is just perfect, the temperature ranging from 15C at night to 25C by day. No one used the air conditioners and most meals were taken outside, though fleeces are a must at breakfast time. On both the Zawgyi and Kalay every single guest, bar one couple, had been with Pandaw before, many several times. Everyone was up for an adventure and had many a tale of past groundings, evacuations and the other dramas associated with a Pandaw river expedition. Perhaps to some people’s regret, this expedition went quite smoothly, as, though low water, the channels were very clearly defined and we never hit the bottom once. Both these ships draw just under three feet and being small can manoeuvre tight bends. A couple of years ago at the same time of year, the water got so low that a number of key channels blocked and there were queues of boats waiting to get through. We had a lot of complaints that year. Things have changed now since the 80s and 90s. For one thing, there was 3G for the entire length of the river. I am not sure that is such a good thing as one of the joys of Burma river travel was going ‘offline’. Likewise, on the Irrawaddy you are now ‘wired’ the whole way. As a result, every local you meet, from fisherman to ploughman, has a smart phone and seems to be on Facebook. New roads run parallel to the river and you see cars in the village; as with everywhere in Burma today, everyone is dashing around on a scooter. Even, there is grid power in the larger villages, yet despite the march of modernity, the intrinsic atmosphere of these Chindwin towns and villages remained the same – very friendly, very polite and still with their original wooden houses, very pretty. I am glad to say that the Kan Sayadaw, now in his eighties, is thriving. Lots of new houses seemed to be under construction around the village and he complained to me, somewhat ironically, that now the once draconian laws of the military dictatorship were relaxed, people were cutting down trees for wood. However, he had won the argument by telling the villagers that tourists want to see the trees and the place would not be so attractive without them. The Chindwin was first explored in 1881 by two Scots, Fred Kennedy of the Irrawaddy Flotilla and Annan Bryce of the Bombay Burmah Trading Corporation, who had timber concessions up there from the Burmese king. Upper Burma was then ruled by King Thibaw whilst Lower Burma was British. The IFC ran paddle steamers from Rangoon, the colonial capital, to the royal capital of Mandalay and had agents there and upstream as far as Bhamo. The Chindwin, flowing up to the border of British India was of considerable strategic and commercial interest. However, the main barrier to any development of these opportunities were the water levels with, as said, an average dry season depth of about three feet and in the monsoon, a flow rate strong enough to stop any ship. Fred Kennedy reported back to Glasgow where the legendary ship builder Peter Denny was one of the company directors. Denny went back to his drawing board in Scotland and came up with a radical new design – the Kha Byoo. In order to maintain trim, the boiler was situated in the bow and the paddles on the stern. One hundred and seventy-foot-long, it drew just two feet! The furnace was wood fired and the company went on to set up fuelling stations at regular intervals so the ship would not be weighed down with its wood pile. The loading was done by girls who would sing as they daintily stepped down the gangplank with stacks of wood beautifully balanced on their heads. The IFC opened the Chindwin valley to trade and this rich hinterland was able to send its produce by steamer to market. In fact, the Chindwin then, as now, was agriculturally far richer than the Irrawaddy valley and had a far denser population in the arable flat lands. There were oil fields around Mawlaik and of course the rich forests, managed on a strict conservation basis, yielded many a raft of teak logs, floated down river to the great sawmills of Rangoon. It was up the Chindwin that the British retreated in 1942 with the Japanese hot on their tail. In some instances, the Japanese would enter a town a mere twenty minutes after the British had vacated it. IFC ships were used to evacuate the British civilian population and then used to ferry the retreating army across at key points. The ships were scuppered at Shitthaung lest the Japanese use them to supply their planned invasion of India. In 1943 the Chindwin was crossed again as part of Operation Loincloth, the first Chindit campaign that wreaked havoc on the up till then seemingly invincible Japanese. And it was again down the Chindwin valley that in 1944 Bill Slim and the 14th Army marched back and turned ‘Defeat into Victory’. 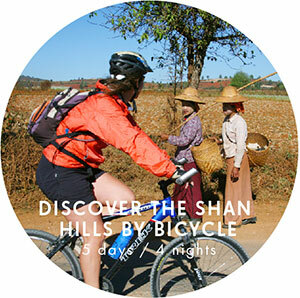 Our fellow passengers were a fit bunch, preferring to go exploring on our village stops by mountain bike. (All our ships carry mountain bikes now.) I was amused to see a possy of mountain bikes bombing off down some jungle track being followed by a tuk tuk containing the rather portly local guide. I could see that our intrepid passengers were really enjoying a feeling of ‘exclusivity’, being the only foreign visitors on the whole length of the river. The great thing about the river being so shallow is that only very small, ultra-shallow draft ships can make it and none of the big white cruisers that congest the waterways between Pagan and Mandalay can get up here. We travelled with our teenage son Toni and a friend of his – living proof that these expeditions are a great experience for younger people. There is just so much to see and do and they get a real insight into another culture and way of life. Each evening the crew would set up a badminton net for a crew vs kids session. This would generally disintegrate into a football knock around in which locals would join in. We had some trainees on board and it was suggested to Toni he might do something useful and teach them some English. He roped them into a marathon Monopoly game, conducted in English of course. There were great shrieks of mirth emanating from the saloon all afternoon. It was with a heavy heart that we disembarked at Mingkin leaving our guests to continue to Mawlaik. We drove back to Pagan in just seven hours along a freshly cut mountain road, unthinkable a few years ago when the river was the only form of communication. The Kha Byoo runs on the Chindwin weekly from September to February from Kalewa to Homalin (high water) Monywa to Kalewa (low water). Berths can be booked through Symbiosis Custom Travel who can also advise on and plan your travels before and after your cruise. 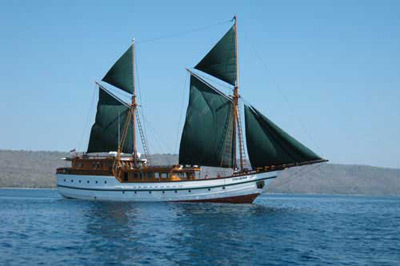 Book Raja 4 Divers now for a dive holiday stay between 01 April and 03 June and get an instant 15% discount. Book a stay between 50 August and 30 September and enjoy 10% off. Only Euro 2555 for 2 weeks for all divers under the age of 30! Includes accommodation, full board, unlimited diving, rental gear etc. Contact Symbiosis Custom Travel today to reserve your space. Indonesia’s national energy strategy relies on large fossil-fuel plants, but remote villages show alternatives are possible. An estimated 1.6 million poor households in Indonesia are not connected to the electricity grid. Indonesia’s national energy plan, which targets 35,000 megawatts of new generating capacity, relies primarily on coal and other fossil fuels. In rural, off-grid areas, the government has shown more support for renewable energy generation, but progress remains slow. In the meantime, villages like Reno on Flores Island have built their own small-scale renewable energy sources. In a country where much of the rural population lives off the grid, villages on the Indonesian island of Flores boast their own renewable energy sources — all built by local communities. Reno village on Flores hosts only 134 homes. The local economy revolves around weaving, raising chickens and selling snacks. Now, a micro-hydroelectric generator is powering the village. Rural electrification is a persistent and evolving challenge for Indonesia, especially for remote communities on the fringes and uplands of the vast archipelago. By the end of 2015, Indonesia’s electrification ratio stood at 88.3 percent, behind Southeast Asian neighbors like Singapore and Thailand. An estimated 1.6 million poor households are not connected to a grid. Indonesia is currently planning to add 35,000 megawatts to the national power grid, but it is projected to continue to overwhelmingly depend on fossil fuels, with plans to build 117 new coal-fired plants as part of the expansion policy. Catholic Pastor Marselus Hasan had a different idea for Reno village. Divided by promises of compensation, ethnic minority villages in northeastern Cambodia face relocation for a hydropower dam.When completed, the Lower Sesan II dam will inundate 36,000 hectares (89,000 acres) of forest and force 5,000 people to relocate, activists say. 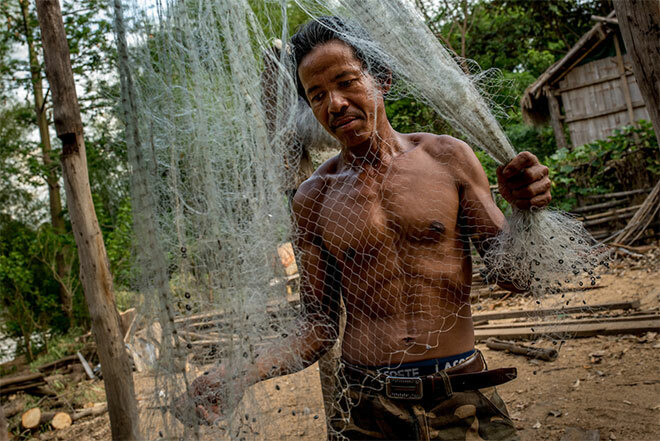 The Bunong, an ethnic minority group whose livelihood and culture depends on the river and the forest, will be among the most affected by the dam. 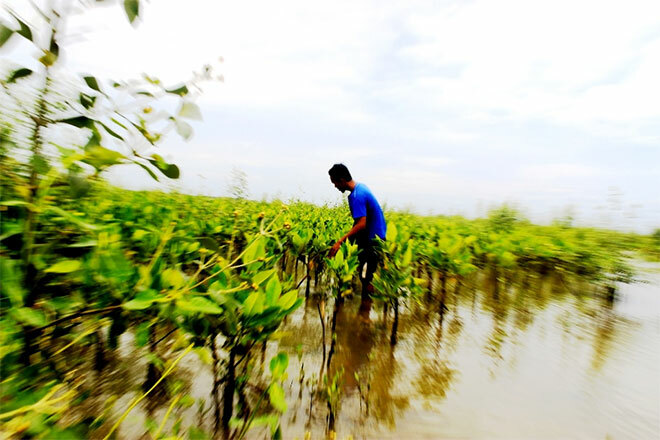 Even before the dam is completed, Bunong villages like Kbal Romeas have been divided, as some residents accept compensation packages while others staunchly refuse to leave their land. At a time when much of Cambodia is developing at a breakneck speed, where smartphones and BMWs have become almost as ubiquitous on the streets of Phnom Penh as saffron-robed monks, the village of Kbal Romeas inhabits a world apart. Tucked deep into the jungles of the country’s untamed northeast, the village has no convenience stores, streetlights, or paved roads. Instead, a visitor would be more likely to find a stretched snakeskin nailed to a piece of teak, drying in the midday sun as a testament to the animist beliefs of the people who live there. 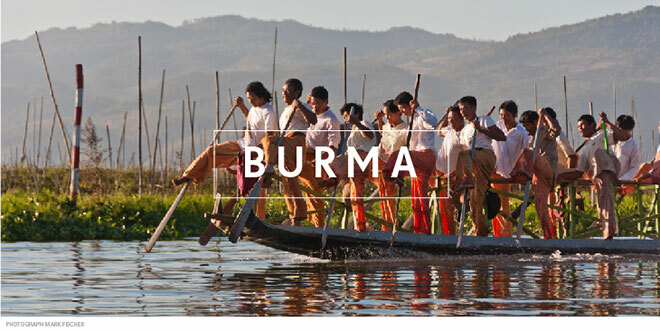 Step back in time and be mesmerized by spirituality and pace of life of modern day Burma. 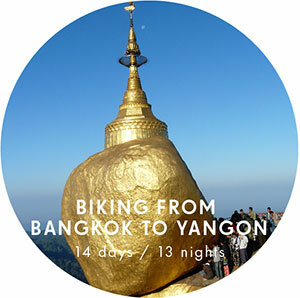 From temple hopping, exploring the countryside, and discovering the coastline, touring Burma by bike is one of the best ways to experience this truly unique destination. 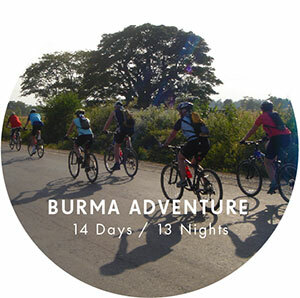 14 Day, 13 Night Burma Adventure. Guaranteed departures 12 February and 17 December, 2017. 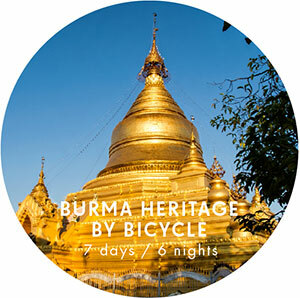 7 Day, 6 Night Burma Heritage by Bicycle. Available Departures : 6 February, 10 April, 10 July, 04 September, 20 November, 04 December 2017. Contact Symbiosis Custom Travel now for full information and to book your space.